The construction of Platinum Condominium was completed in 2007. The 22-story tower features a distinctive Miami architecture designed by talented architect Fullerton Diaz Architects and developed by Maysville Inc., and A.R. Development Group Inc. Platinum is situated right in the heart of Miami's Design District famous for a stunning variety of exquisite art galleries, showrooms, creative services, famous architecture firms, unique stores, antiques dealers, cozy cafes and lounge bars. Take a walk in Wynwood Arts District harboring a number of galleries, exhibitions, and museums. 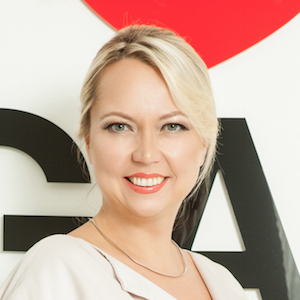 If you're an arts lover, that's the perfect place to be! Platinum Condominium is located minutes away from the major highways, the Shops at Midtown at Miami being one of the biggest shopping centers in Miami with endless shopping opportunities, American Airlines Arena showcasing hot-blooded games of one of the world's best and most famous basketball club of Miami Heat, and charming Bayside Marketplace where different cultures unite into one big and unforgettable party. 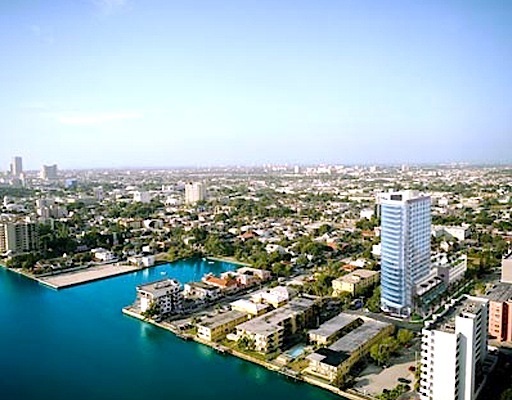 What's more, Platinum Condominium is only a 10-minute drive from Miami International Airport and 15 minutes from the famous night life of South Beach with its countless bars, night clubs and restaurants. 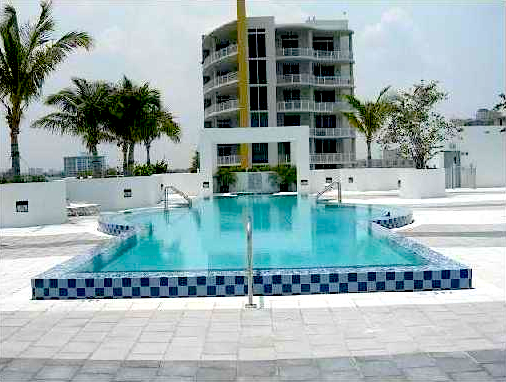 Furthermore, Platinum Condominium is situated only one block away from Biscayne Bay offering splendid opportunities to try out some fascinating water sports such as kayaking, snorkeling, jet ski and many other water activities. The first thing you notice is Platinum Condominium's eye-catching tropical landscaping and a beautiful fountain at the entrance that welcome you inside. Platinum features world-class amenities and services. Take you time exploring all of them. Want to maintain a good physical shape? It's no problem at all! Visit Platinum's state-of-the-art fitness center with modern equipment or set you mind at ease and recharge your batteries in a splendid spa center. Ultimate relaxation and recovery are guaranteed. 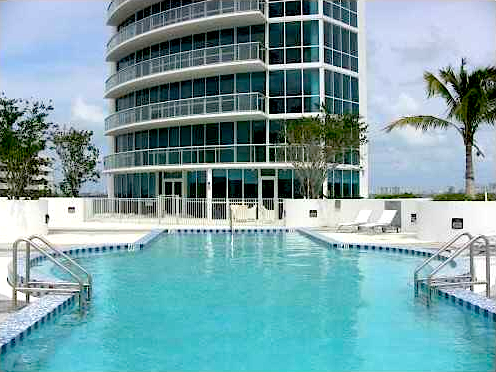 Spend some time by a beautiful lap pool, relax in Jacuzzi, sauna or a steam room, or simply take delight in awesome panoramic views of Miami Beach, Biscayne Bay, South Beach and Downtown Miami. Platinum Condominium is all about the options. Just find something you like the most. Feel free to use your imagination. 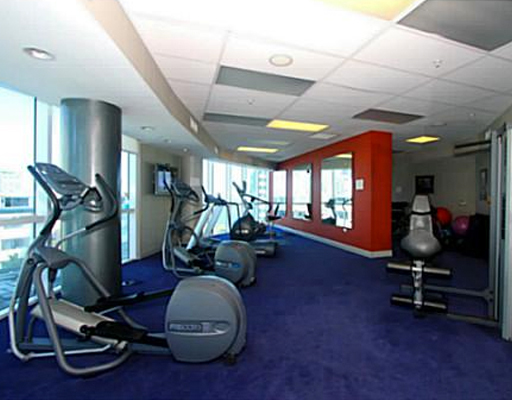 Other useful amenities and services include covered parking, concierge services, valet parking, and 24-hour security. Platinum is a pet-friendly condominium, so don't hesitate to bring your favorite pet with you! 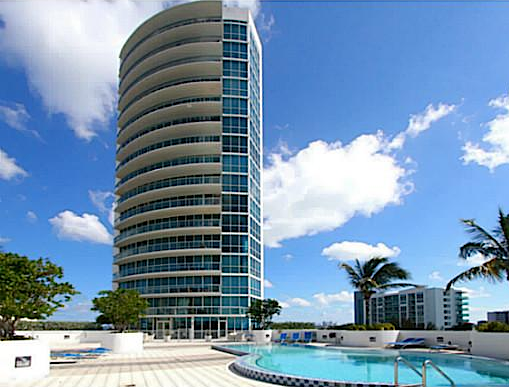 Platinum Condominium is a modern 22-story bayfront mid-rise tower featuring a variety of lofts, 1, 2, and 3 bedroom apartment homes, ranging in size from 828 to 1,763 square feet. 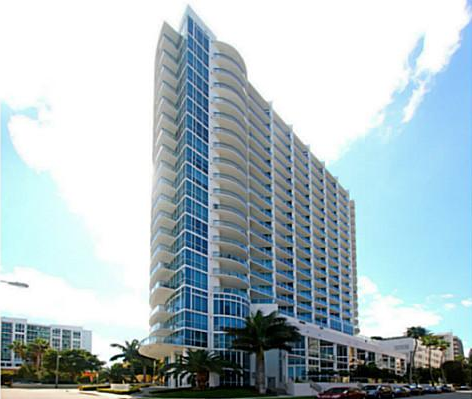 It is more like a boutique condominium tower as it features only 119 total residences. The amenities in all the residences include floor-to-ceiling hurricane-resistant windows and glass balconies, spacious terraces with view-expanding glass railings, expansive walk-in closets in bedrooms, modern and elegant Italian kitchens equipped with cutting-edge stainless steel appliances, top-of-the-line granite countertops in kitchens, and glass shower doors in bathrooms. Each residence has its own modern laundry facilities such as a washer and a dryer. Platinum Condominium's amenities and services are designed to make your living as comfortable and easy as possible, so that you can enjoy life to the fullest. Platinum Condominium is not just a building. It's a realm of happiness where life is devoid of any dark colours, where people enjoy every single moment, where you feel like a King or a Queen.